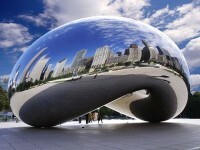 Chicago is the largest city in the state of Illinois and the third in terms of population in the United States. The city is located in the south-west of Lake Michigan. In 2016 year in the city of Chicago and its metropolitan area work 2 IKEA store.